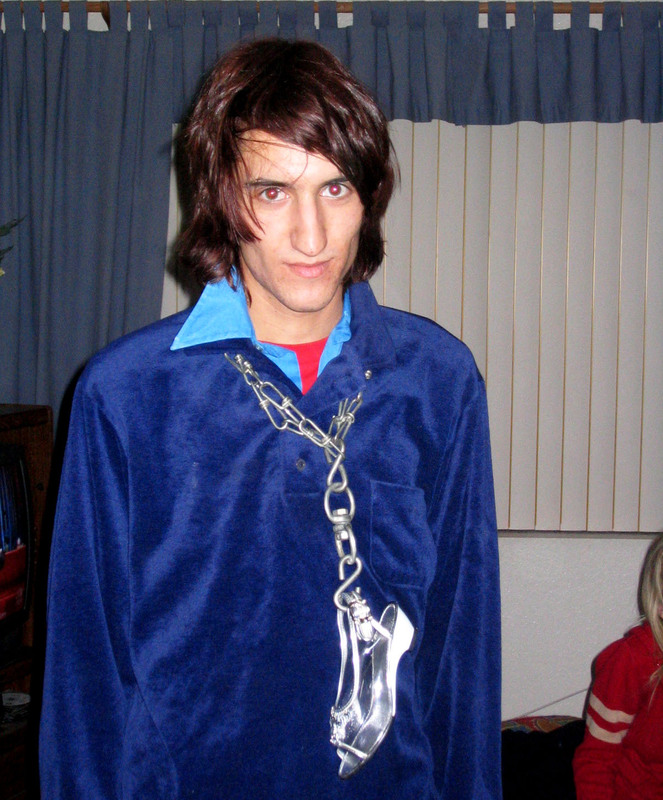 The writer during one night in high school. At the switch of the centuries I can remember the early days of downloadable music. Songs would take full days, two, three, four. Single songs. The computer would heat and hum all night long. Single tracks would only give a taste, forcing you to spend money to own the full, physical album. I can remember downloading songs from Glassjaw, My Chemical Romance, You & I, Saves The Day, Bright Eyes, Racebannon and Thursday before knowing anything about them. It felt like I was given special access to this new music. I felt privileged. I was the prime discoverer and so, felt an exaggerated ownership. I can remember being especially taken by Thursday and buying Full Collapse, their second album in the early months of 2001. The album became embedded into my psyche like a steak knife through a juicy, raw steak. The songs surrounded my bedroom and left echoing webs in the walls and in the ceiling. It was very special to little old defunct me. My punched and held down emotions came belting from Geoff Rickly’s desperately panicked cries of pain. It felt like he was channeling my own isolation and gloom and that made it okay, tolerable. When something like that then crosses into the mainstream it becomes like an intrusion on that shared intensity, making it less so. It was difficult to handle in an over-the-top pathetic teenage way. When my favorite band, who’s ill-fitting t-shirts I wore weekly, started to become known, it felt like betrayal, like my darkest secrets were being exposed. I can remember being snot-faced with a curled up frown at the lunch table with my friends and someone, smiling widely, saying that Thursday was my band with a mocking tone. I could only laugh along. It was ridiculous to let a universal appeal ruin something I cherished, but it did. “Full Collapse” was released April 10, 2001 on Victory Records. What most likely did me in was probably the debut of their music video for “Understanding in a Car Crash” on MTV. That was the white flag moment. The wall was coming down. I watched the blurred clip with wide gushing eyes knowing that this thing I had held so dearly was no longer going to be mine. Early on I saw Thursday open for Saves The Day in a room crowded with Saves The Day admirers. Months later, after that video hit, they played the unwholesome basement of the Nile Theatre in Mesa, Arizona. The space was so jam packed with sweaty fans, dried out and thirsty, that I ended up pushed onto the small stage to the right of guitarist Steve Pedulla. Before the show started he politely reminded me, “just don’t step on these pedals.” I probably had no response, shocked into silence, and spent the set dodging the spear end of his guitar. Still one of the best shows I’ve witnessed. Top ten. 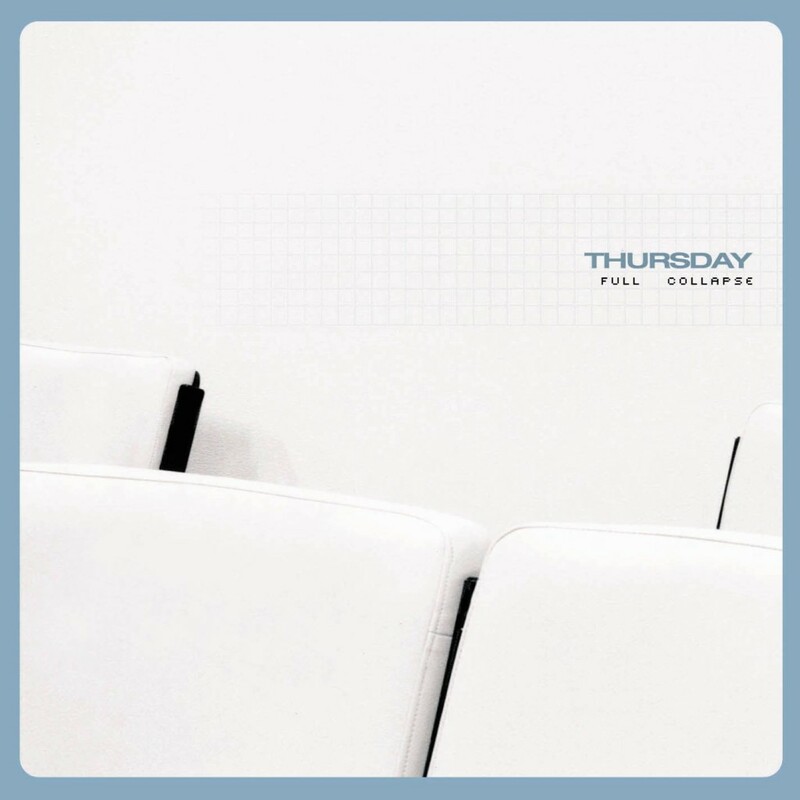 As the years went on the bleeding heart poetry of Thursday came to be almost comical, an easy target, and the band never made another record quite as powerful. Emo and Screamo music blew up so much to the point that the all-American high school jocks who had once made fun of our ironic t-shirts, unkempt hair and glasses, were suddenly donning Thursday and Jimmy Eat World t-shirts trying to be our friends. But who knows? So, they kind of thought Full Collapse was cool. Maybe they, too, had some darkness lurking that the album could explain. Who was I to take that away from them? Over a decade later and most of the bands I discovered on KaZaa early on have rose to prominence with a quicker fade out. I have grown a lot since then and so, too, has the culture. Now, we share things. We share songs and albums with total strangers. And that’s okay. Or, at least there’s no stopping it, so why bother griping? All music from all eras is now available to us streaming and downloadable. We can relive the crusty gutter punk past or shake our hips to rare disco b-sides like our living rooms are Studio 54. In my Recent Downloads folder I have, side-by-side, without attempting to achieve any irony, The Misfits’ 12 Hits From Hell and Selena Gomez’s Revival. So, who really am I now?